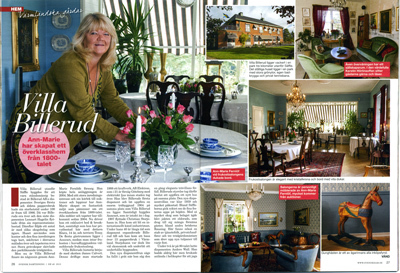 Villa Billerud is a small hotel - Bed and Breakfast - beautifully situated on Byälven about 3 km from Säffle Center. Here you can stay overnight in the Annex or the in the big house. There are a total of 12 rooms, all decorated with personal style, all with free wireless internet and TV. Most rooms overlook the river. The little room hotel in Värmland for those who appreciate a beautiful setting! Here you can rent rooms for one night or for a longer period. It is also possible to rent the entire Annex where there is a kitchen and a community room. One can also rent the nice, heated jacuzzi outside the Annex.